Founded in Baltimore in 1897, the Zionist Organization of America (ZOA) is the oldest Zionist organization in the United States. It has been by prominent American Jewish figures like Supreme Court Justice Louis Brandeis and Rabbi Abba Hillel Silver. The group played a pivotal role in reorienting the U.S. Jewish community away from the “assimilationist” approach of other early twentieth-century Jewish organizations and toward a more explicitly Zionist orientation. Like other Zionist groups in the United States and Europe, the ZOA entered a period of decline after the state of Israel was formally recognized in 1948 and the ostensible mission of the organization was fulfilled. However, since the 1990s, the group has taken on a more activist right-wing role within the larger U.S. “pro-Israel” lobby under the leadership of its controversial president Morton Klein, a former U.S. government economist who is also a member of the American Israel Public Affairs Committee’s (AIPAC) national council. According to Jewish Voice, the ZOA’s membership under Klein has been in “free fall.” In a March 2014 report, the publication reported: “Although the ZOA’s website dishonestly represents that it has more than 30,000 members, the ZOA’s list of members includes fewer than 10,000 names. Of that group, the ZOA has e-mail addresses of only 1100, and approximately 25% of those e-mail addresses are no longer valid. Thus, at most, the ZOA has approximately 800 members. Such a pitifully small constituency is less than the critical mass necessary for an organization to have any relevance.” By comparison, in 1947, the ZOA reportedly had nearly 250,000 members. Alongside its more general public outreach and political activism, the ZOA also operates special programs devoted to legal cases and college campuses—aimed, among other things, at compelling the U.S. State Department to stamp “Jerusalem, Israel” on the passports of Americans born there, as well as banning “anti-Semitic” criticism of Israel from college campuses. In November 2014, the ZOA hosted a meeting between prominent Jewish American donors and potential Republican presidential nominee Sen. Ted Cruz (R-TX) in New York City. The event also included numerous high-profile “pro-Israel” hawks and right-wingers, including Alan Dershowitz, Christians United for Israel chairman John Hagee, Congresswoman Michelle Bachman, and Republican mega-donor Sheldon Adelson, among many others. The group compared the failure of other Jewish groups to support Netanyahu’s speech to the actions of Jews during the 1930s who refused to condemn the Nazi threat. “Anti-Defamation League (ADL) leader Abe Foxman’s and Union for Reform Judaism (URJ) president Rick Jacobs’ shameful condemnation of Israeli Prime Minister Benjamin Netanyahu for accepting the invitation to speak to a joint session of Congress about the Iranian nuclear threat to Jews and the United States is reminiscent of establishment Jewish leaders’ condemnation of Peter Bergson and Ben Hecht for trying to speak to Congress in the 1930s-1940s about the Nazi threat to Europe’s Jews,” a ZOA press release stated. The ZOA has a history controversies related to its tax status and leadership. For instance, during a brief period of time in the late 1940s, ZOA was forced to register as a foreign agent in the United States for “endeavoring to transmit to Israel certain up-to-date information regarding American industry,” according to FBI documents. The requirement was later dropped. More recently, after failing for three years to file Form 990 documents with the IRS, the ZOA lost its tax-exempt status in March 2012. As of late 2014, it had yet to reestablish it, apparently having scrubbed all references to the group’s non-profit status from its website and declining to post a public list of board members. In October 2012, ZOA announced that it had canceled its annual fundraising gala because of its loss of tax status. Despite these problems, in October 2012, the Forward reported that Morton Klein was among the most highly compensated top executives among Jewish advocacy groups. “Of the 19 Jewish nonprofits that pay their top executives over $400,000,” wrote Josh Nathan-Kazis, “the Republican Jewish Coalition and the Zionist Organization America are the only two that have total expenditures of less than $10 million a year.” Nathan-Kazis noted that Sheldon Adelson has been a major funder of both groups. The Forward also reported that Klein received a 38 percent raise even as ZOA lost its tax-exempt status and its revenues declined. According to the Jewish Voice, Klein received a salary of $1,245,851 in 2008, which was more than half of ZOA’s total received donations ($2.4 million) for that year. Jewish Voice also noted that 2008 was the first year ZOA failed to file a Form 990 with the IRS, meaning Klein’s income for that year was not publically disclosed at that time. In 2007, the ZOA reported approximately $4.5 million in revenue. By 2011, according to the Forward, ZOA’s revenue had fallen $1.4 million below the 2011 figure, suggesting broad-based fundraising difficulties. A review of 2009 and 2010 990s filed by other organizations, however, suggests that ZOA has maintained its core neoconservative donors. The Sheldon Adelson Foundation contributed $500,000 between the two years, alongside $200,000 from the Irving Moskowitz Foundation and at least $115,000 from the Newton and Rochelle Becker Foundation. Smaller amounts came from other groups, including $12,000 from the Abstraction Fund, $10,000 from the James and Merryl Tisch Foundation, $6,250 from the Pittsburgh Terminal Corporation Foundation, and $5,600 from the Traditional Fund, alongside a host of smaller foundation supporters. ZOA, “About the ZOA,” http://www.zoa.org/content/about_us.asp. ZOA, Morton Klein bio, http://www.zoa.org/content/klein.asp. JV Staff, “Mourning the Legacy of ZOA,” The Jewish Voice, March 12, 2014, http://jewishvoiceny.com/index.php?option=com_content&view=article&id=6907%3Amourning-the-legacy-of-the-zoa&catid=101%3Ajv-editorial&Itemid=284. Bryan Schwarzman, “ZOA Retools Its Image by Focusing on Jihad Via Lectures and Film,” Jewish Exponent, April 2, 2009,http://www.jewishexponent.com/article/18585/ZOA_Retools_Its_Image_by_Focusing/. See Noisyroom.net, “ZOA Holds Star Studded Gala at Grand Hyatt Hotel,” November 22, 2011, http://noisyroom.net/blog/2011/11/22/zoa-holds-star-studded-gala-at-grand-hyatt-hotel/; Naomi Zeveloff, “At the ZOA Dinner, It’s 1939 Again,” Forward, November 23, 2011, http://forward.com/articles/146764/at-the-zoa-dinner-its–again/?p=all; Ben Adler, “Michele Bachmann Addresses the Zionist Organization of America,” November 21, 2011, http://www.thenation.com/blog/164754/michele-bachmann-addresses-zionist-organization-america. 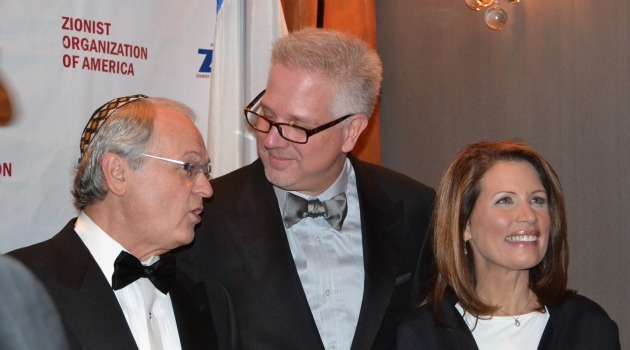 Ben Adler, “Michele Bachmann Addresses the Zionist Organization of America,” November 21, 2011, http://www.thenation.com/blog/164754/michele-bachmann-addresses-zionist-organization-america. Ken Kurson, “Sen. Ted Cruz, ’16 Presidential Hopeful, Woos New York Jewish Donors,” New York Observer, November 24, 2014, http://observer.com/2014/11/sen-ted-cruz-16-presidential-hopeful-woos-new-york-jewish-donors/. Yossi Sarid, “Beware: Republican Jews on the Warpath,” Haaretz, February 8, 2015, http://www.haaretz.com/news/diplomacy-defense/.premium-1.641334. ZOA, “ZOA Criticizes Reform Judaism’s Jacobs, AIPAC, AJC, ADL, J St., and Other Groups,” February 9, 2015, http://zoa.org/2015/02/10275056-zoa-criticizes-reform-judaisms-jacobs-aipac-ajc-adl-j-st-and-other-jewish-groups-for-not-supporting-israeli-pm-iran-speech-to-congress/#ixzz3RNGKNLh4. ZOA, “Condemnation of Speaking on Iran Reminiscent of Speech on Nazi Threat,” February 10, 2015, http://zoa.org/2015/02/10275218-condemnation-of-speaking-on-iran-reminiscent-of-speaking-to-congress-on-nazi-threat/#ixzz3RNHlXQVk. Quoted in Miranda Flint, “ZOA Applauds P.M Netanyahu Call for ‘Red Lines’ on Iranian Development of Nuclear Weapons Capacity,” Jewocity, September 28, 2012,http://www.jewocity.com/blog/zoa-applauds-p-m-netanyahu-call-for-red-lines-on-iranian-development-of-nuclear-weapons-capacity/4853. Quoted in Daniel Treiman, “Romney’s peace pessimism: Praise and pans from the usual suspects,” JTA, September 20, 2012, http://blogs.jta.org/politics/article/2012/09/20/3107471/romneys-peace-pessimism-praise-and-pans-from-the-usual-suspects. Lizzy Ratner, “The War Between the Civilized Man and Pamela Geller,” The Nation, October 18, 2012, http://www.thenation.com/article/170663/war-between-civilized-man-and-pamela-geller. ZOA Press Release, “Israeli & U.S. Supporters of 2005 Gaza Withdrawal Should Apologize to Israeli Public, World Jewry & Gaza Jews,” January 20, 2009,http://www.zoa.org/sitedocuments/pressrelease_view.asp?pressreleaseID=1559. FBI Vault, “Zionist Organization of America Part 5 of 10,” PDF pp. 11-12,http://vault.fbi.gov/Zionist%20Organization%20of%20America/Zionist%20Organization%20of%20America%20Part%205%20of%2010/view. Josh Nathan-Kazis, “ZOA Cancels Annual Fundraising Dinner,” Forward, October 24, 2012, http://forward.com/articles/164825/zoa-cancels-annual-fundraising-dinner/. Josh Nathan-Kazis, “Adelson Funds Big Salaries,” October 2, 2012, http://blogs.forward.com/forward-thinking/163651/adelson-funds-big-salaries/#ixzz29ihr44iJ. See Guidestar.org, Nonprofit Profile for ZOA, http://www.guidestar.org/organizations/13-5628475/zionist-organization-america.aspx.